and 50 Led Solar tube lighting (Solar Rope Lights). 2.3 and 3.2 Lytec El Wire! Order your Faux Fur clothing now! Orders may take up to 4 weeks to process since all Faux Fur products are custom made. Fire and rechargeable light Poi, etc. LA BURNERS: Call 818 521-8250 or 818 621-8747 if you want to shop live at our STORE ! We are giving free El Badges to all who order! Are you feeling the burn a coming…. LETS all Support BM and our Tribe!!!!!!!!!!! 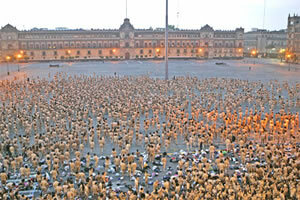 Spencer Tunick has done this type of thing all over the world (he even did one at Burning Man in 1999), and has been arrested numerous times for indulging in his particular form of artistic expression. Mr. Tunick’s body of work is quite amazing and unique. And the world’s a better place for it. This might be old news to some, but it’s new news to me: Have a look at what an enterprising vandal (with big balls!) 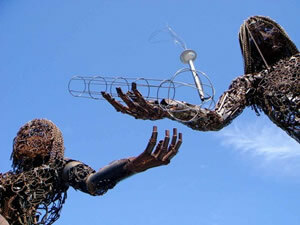 did to the large scale sculpture made by married artists Dan das Mann and Karen Cusolito. 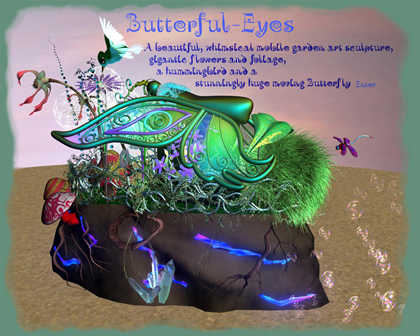 Dan and Karen had constructed the large sculpture to be displayed at the Burning Man Festival in 2005, where it was very well received, as their excellent works of art always are. The mission of the Black Rock Arts Foundation is to support and promote community-based interactive art. For our purposes, interactive art means art that generates social participation. The process whereby this art is created, the means by which it is displayed and the character of the work itself should inspire immediate actions that connect people to one another in a larger communal context. Please go to the San Francisco Metroblog, which is where I found this story, for more images and some very enlightening and hilarious commentary by the person who posted it, Violet Blue. “the bong has been stolen. Don’t let the weekend end on Sunday! Come get in those grooves in the waning hours of your weekend. Or stay at home all weekend and save up your energy for your featured party fix. Join our Pocket brothers and sisters for their monthly Sunday happening, Blank at Mor Bar. Great place, great peeps. Make ’em peel you off the dancefloor at 2am! Dark Skies / The Singularity Event is taking place near Primm, Nevada on Roach Lake May 17-20. 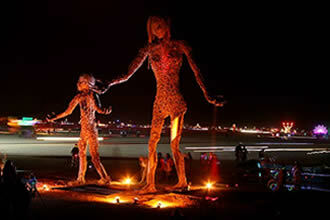 This is the second annual South West Regional Burning Man event jointly organized by two regional teams in Las Vegas and Los Angeles. This year is shaping up to be spectacular, but we need your participation for it to be all that it can be! This year, in addition to mutant vehicles, art sculptures and large scale installations, we are also featuring a real gallery-style fine art and photography show inside an amazing structure called “Innermind”, by Gary Stadler. Some of you may remember the beautiful 85′ x 40′ conical structure from Burning Man a couple of years ago – it has a beacon of light that shoots out of the top, and is a very impressive art piece all on its own. This year it will function as the center camp, and will house white flats upon which we will hang artwork from both regions, as well as smaller sculptures and installations. where they will be reviewed and coordinated by myself and other team members. (Since I also have a gallery I run downtown, I am always looking for new art anyway -so please send me your info!) Decisions regarding content will not be made until the first of May, when we know the actual sq. footage of interior space and see the quantity of art work submitted. This year, in order to facilitate the many sculptural artists living here, we will have transportation for larger pieces leaving from L.A. We are hopeful that this will allow many more of you wonderful LA artists to be represented out on the near-playa . If requesting transport of large installations (or any artwork for that matter ), please include size, weight, and any special info necessary for us to assist you in your art’s appearance at the event. Let’s show Vegas what we can do! I am daleydale, and I am here to serve !